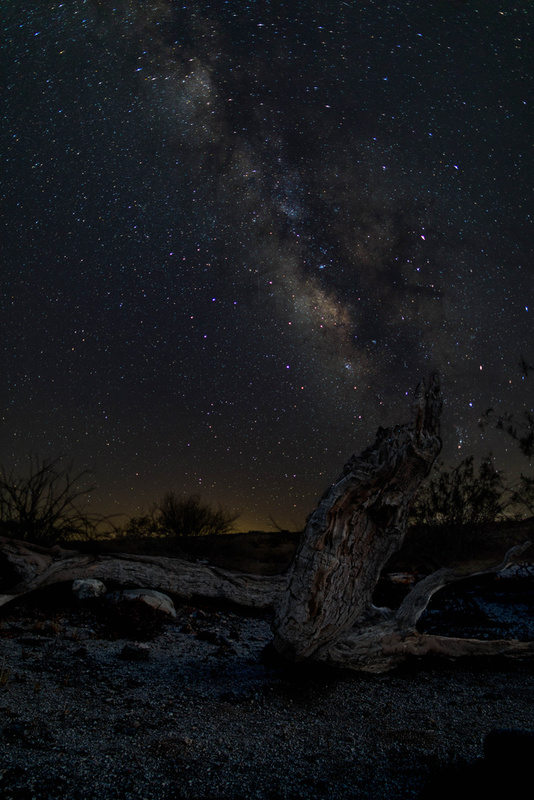 The Milky Way in Joshua Tree NP, on the night of the Solar Eclipse. There was a new moon on this night so the sky was dark and full of stars. This is two exposures blended together, one for the tree stump, and one for the mily way.